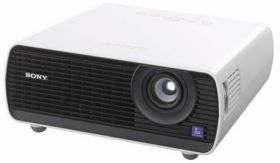 The core strengths of Sony’s E-Series projectors are performance, convenience and economy. 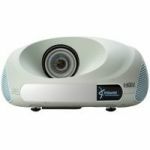 The VPL-EX175 delivers these with exceptional image quality at a low cost of ownership. 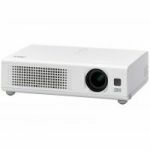 Sony’s next generation inorganic panels (BrightEra) and 3LCD projector system deliver higher picture quality, substantially brighter images, higher efficiency, better contrast, consistent colour stability - not to mention longer durability and usability. The VPL-EX175's control panel is on top of the device for easy operation, with large, easy-to-locate controls. Normally, the front angle of a projector has to be adjusted to raise the beam to the screen. In the VPL-EX175, this initial adjustment is built-in and includes a corresponding keystone adjustment, saving two setup stages. 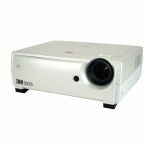 The VPL-EX175 has six picture modes (Dynamic, Standard, Game, Living, Cinema and Presentation) that can be selected to suite the nature of the source material. The VPL-EX175 has a package of security measures, including password protection, and physical anti-theft anchor points.